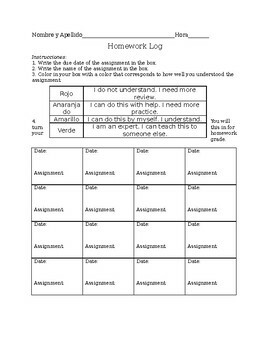 Keep track of student homework without collecting everything! I walk around the room as students do their bellwork and give them a stamp for completed homework. After 20 assignments, I collect the log and give the grade. Used for Spanish, but can be edited for any class.